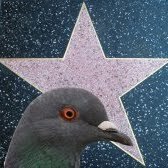 PMDb - The Pigeon Movie Database: Training Day: what do you see when you are high? Training Day: what do you see when you are high? ... but at the same time, there something twisted about him. But anyway. He is one of the best cops. What can be wrong here? The first weird thing comes with a sudden argument between them. The poor Jake is tricked by Alonzo into smoking something that actually is a strong drug, and soon he enters into a narcotised state with nothing better to do than look out of the window. So, the question is: what does Jake see when he's under the drug's effects? Streets, trees, and a large pigeon flock (quite relaxing view, by the way) doing their very own flying training day. The birds are displayed with a strong green filter to represent the drug's effects.... a bad omen for the future of the movie plot. 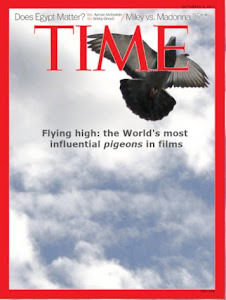 Anyway, there are no more pigeon's in this film, thus the rest of it is not relevant for us. Pigeon activity: A typical flock of pigeons flying around. Symbolism: Merely circumstantial. Pigeons are just something to look at when you don't have better things to do. Relevance: Low. There is a minimal impact on the film plot. Training level: None. Probably they are wild animals recorded by the film crew or stock footage. I heard a lot about the movie. But, dang, haven't had the chance of watching it, but thanks to this post, i'm thinking i better put it up on download right now.